One of the most popular places for a skylight is the kitchen, and for good reason. With all the nooks and crannies in a typical kitchen, the more light coming in, the better! Skylights in the kitchen also serve the purpose of providing natural light for your brunches or other gatherings with family and friends, and that flattering mellow sunlight can make the food, and the guests!, look even better than they already do. But don't think you have to sacrifice energy savings for beauty and comfort. Today's modern skylights put their leaking ancestors to shame with sturdy flashing, excellent framing, and double-pane or triple-pane technology. Held to the same standards as the windows in your walls, skylights can be part of a complete energy-efficient window package. 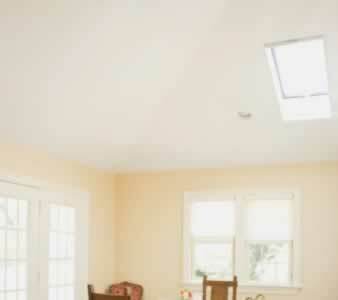 To make the deal even sweeter, consider that you don't have to use as much artificial light when you install skylights, and that makes them a good option for the environmentally-conscious.